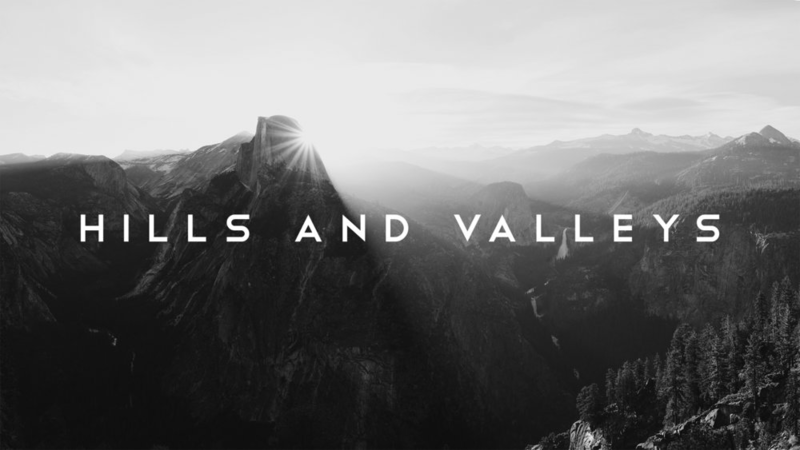 With this series we’re walking through the famous hills and valleys of the Bible. Today we’re looking at Elijah on Mount Carmel, when he challenged Jezebel’s god to a challenge only a real, living God could win: sending fire to light an altar without using a match. The god of fire, Baal, and all its' 450 prophets, could not light the altar. But even after Elijah, a lone prophet, dug trenches and drenched the altar in water, God answered with fire. Do you have a story about fire getting out of control? What was your first experience with fire as a kid? Beth Moore said, “much of worship is focus.” Today our focus is being pulled in more directions than any generation before us. Where is your focus being pulled? Mike said Elijah was a lone prophet; often on the run, afraid, and isolated, but Elijah was committed to speaking for God even if he was the only voice. Have you ever heard God, or known God’s will, so clearly that you were okay being a lone voice? King Ahab’s wife, Jezebel, was into a lot of idol worship. We’ve all had people and things in our lives leading us away from God. Who do you have in your life that speaks truth to you when you’re pulling away from God? Do you feel God’s love in that truth even when it’s something you don’t want to hear? Elijah wanted to show the people that the god that they worshipped was an object and an idol, not the living God. Kings 18:27-29 says, “At noon Elijah began to taunt them. "Shout louder!" he said. "Surely he is a god! Perhaps he is deep in thought, or busy, or traveling. Maybe he is sleeping and must be awakened." 1 Kings 18:36-37 says, “At the time of sacrifice, the prophet Elijah stepped forward and prayed: "O LORD, God of Abraham, Isaac and Israel, let it be known today that you are God in Israel and that I am your servant and have done all these things at your command. Answer me, O LORD, answer me, so these people will know that you, O LORD, are God, and that you are turning their hearts back again." God goes after His lost sheep. Have you ever felt God pursuing you? How are you pursuing God? During this series at Mission, we are all challenging each other to do the SYNC Bible Challenge! Head to missionventura.com/sync for more info! Lord, there is no God besides you. You are so good and so kind. You are more than we deserve. I thank you for you always hearing my prayers. Show me where I’ve put the little g gods before you so I can l can experience your presence. Thank you for not allowing my failure to be final, but for letting me anchor to you. Write down one distraction that you usually have pulling you away from God and ask through prayer how you can use that time for Him instead. Write down what action you will take.